To develop a rich understanding of a diverse audience; their interests, their lifestyles and their motivations. To create a long-term SEO strategy that is future-proof to the shifting landscape of search engine algorithms. To make shareable, sticky content that embodies the Etihad brand whilst providing lasting value to consumers. We conducted user research on age, gender, location, and interests; finding out as much about our target audience as possible. We conducted thorough keyword research which we could translate into well targeted backlinks. Armed with knowledge about our audience we created useful, interesting, unique and inspirational content tailored to them. Using keyword research we ensured that our content contained strategic links to Etihad, building their search engine ranking for specific terms and attracting more relevant, engaged traffic. On-site we created an Etihad branded content hub, filled with useful and relevant content; such as articles, how-to guides and infographics. Off-site we sourced premium domain authority links using trusted and relevant third party sites. 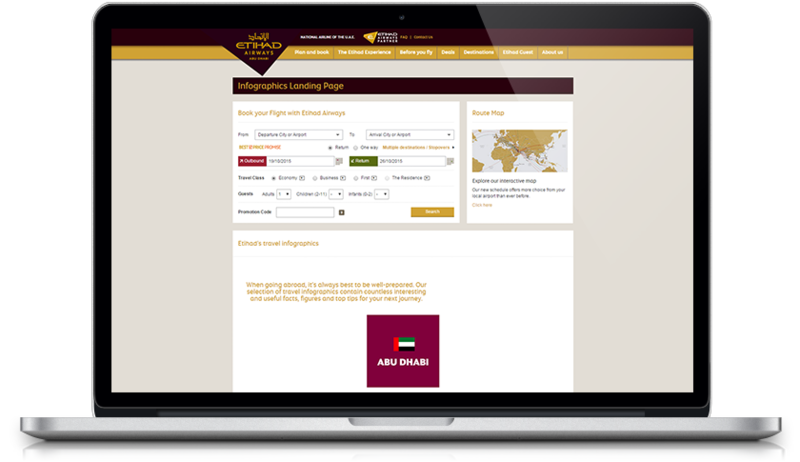 This improved Etihad’s ranking for relevant keywords and built their overall exposure on the web. 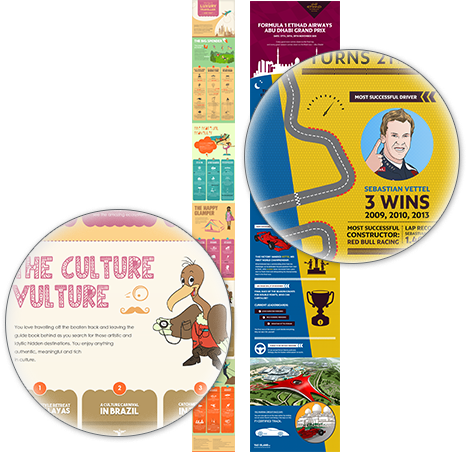 Relevant and shareable content concerning key travel routes translated into strong visibility, low bounce-rates and longer dwelling time.